It is common to say that the great difficulty in our homes and in our relationships in general is communication or lack thereof. We have lived a reality that seems so contradictory, but it is wide open for those who want to see and feel their reflexes. We have all the means of communication at hand: open TV, pay-TV, full-feature mobile, chats, blogs, microblogs, websites and radio. We could list so many means of communication , but I invite you to think a little more about this. Given so many media, do you think you have communicated better or worse with your work buddy, your child, your wife, or your friend ? Have you noticed that matters were best resolved when we did not have so much technology ? I have the feeling that the media has led us to isolation. I do not mean the advantages of so much technology, after all, we are talking here through the internet, but I mean the quality of what we communicate. Do you know that super-chat that you had on social networks , that was misinterpreted by the other party and generated a fight? Have you lived through this? Yeah…. I think we’ve all lived through this. And that photo you posted and generated a huge disagreement between you and your family , for example?
. : In times of social networks, how to maintain a friendship physically? Links are to computer generated translations via Google from Portuguese. Often, we are living in situations where the way we communicate has driven us away or even not been valued, because we have more urgent things: time at work consumes us, we multitask things while we talk about a serious matter and we do not perceive the lack of investment in quality conversation time. How much longer will we allow our communication to be disposable, superficial, imprecise, disqualifying, and even more so to allow disagreements with the people who are closest to us? Is that your “friend” of the social network really your friend ? 6) Set your judgment aside: Communicate by openly listening to someone who talks to you. We are led to live an individual and parallel world, having the sensation that life is fast and fleeting.This sensation is due, in part, to the rapid expansion of the virtual world . Connecting is not always about compromising. However, it is the commitment that consolidates relationships and it is this that makes our affective, family and social bonds solid, mature and open to quality communication, which leads us to approach and not to isolation. Relationships go beyond a connection, a disconnect and a blockage. We have the great challenge of growing in our relationships! Here’s the invitation: What have you done to improve communication in your relationships? 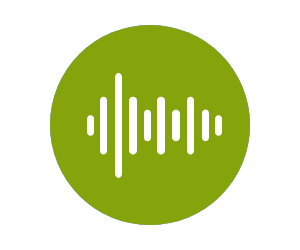 Click here to subscribe to the Canção Nova YouTube Channel. You can adjust the settings on each video (subtitles) to bring up the auto-translate feature of YouTube. 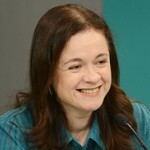 Elaine Ribeiro, Clinical and Organizational Psychologist, collaborator of the Canção Nova Community.